In our service we use content feeds to provide you with fresh high-quality content. We distinguish two types of content feeds: Public and Private. Public feeds are freely available on the Internet. And in RSS Ground you can search a database of over 500,000 public feeds. You need to go to MY ACCOUNT page and then click on New content feeds dropdown. 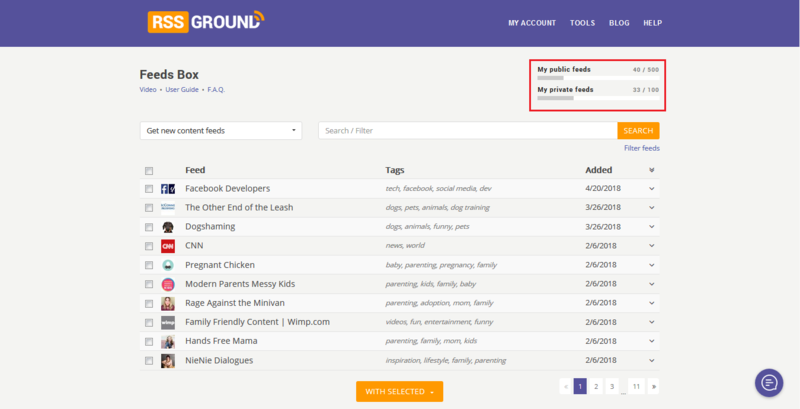 Then choose "Search for public feeds". We have a separate video that explains in great details how to search, filter and manage public feeds. Private feeds, unlike public feeds, cannot be found on the internet as they simply don't exist. They need to be generated based on source, keywords, and filters. 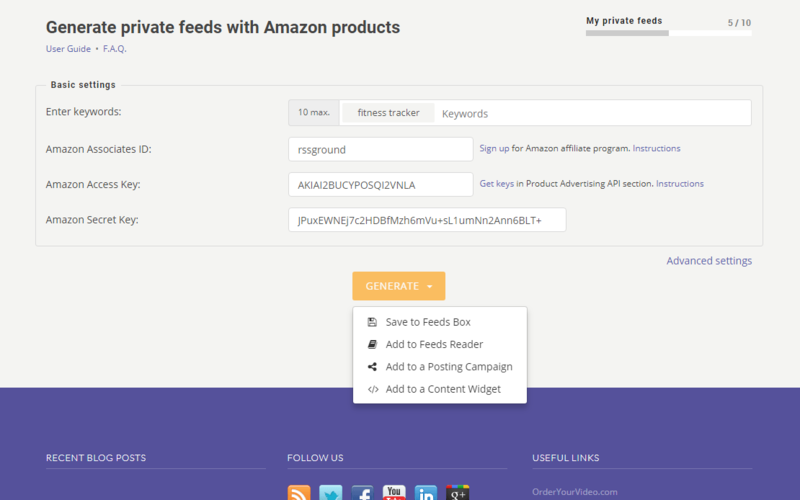 Click on New content feeds and choose "Generate private feeds". Then you need to choose a content source. Let's pick Amazon just for this example. 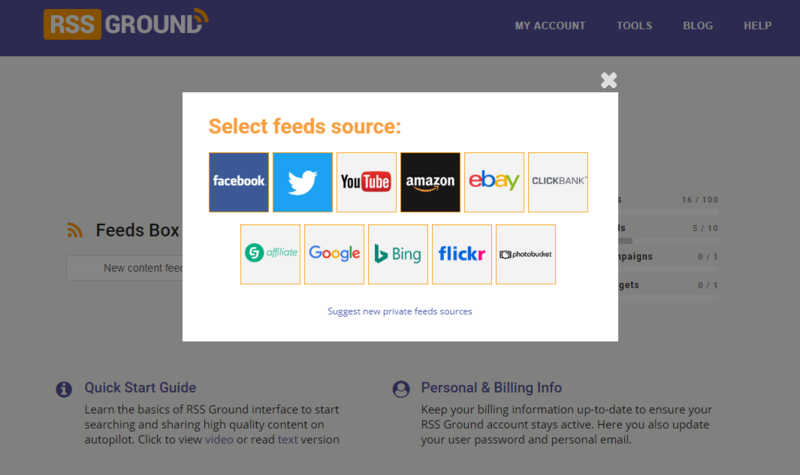 Each private feeds generator has 2 groups of settings: Basic and Advanced. Only Basic settings are mandatory. Advanced settings are optional but can further tweak your content feeds. 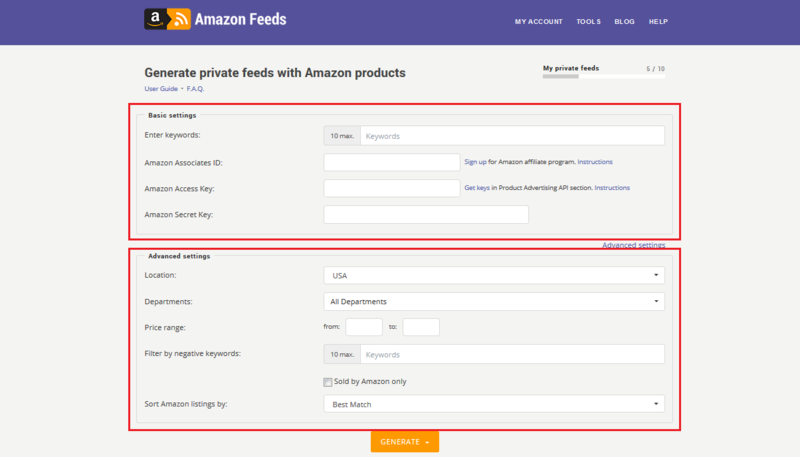 The minimum you need to generate a private feed is just a keyword. But if you want to have your affiliate IDs in product links, like in this case with Amazon feeds, you need to provide additional affiliate information. All these are Basic settings. We will cover Advanced settings in individual tutorials for each content source. Or, add them to a new or existing content widget that can display self-updating content on your website. You can learn more about each option in our separate videos. When you get new content and store feeds in your Feeds Box, pay attention to your account limits in the upper-right corner. If you hit the limits you would need to upgrade your account. 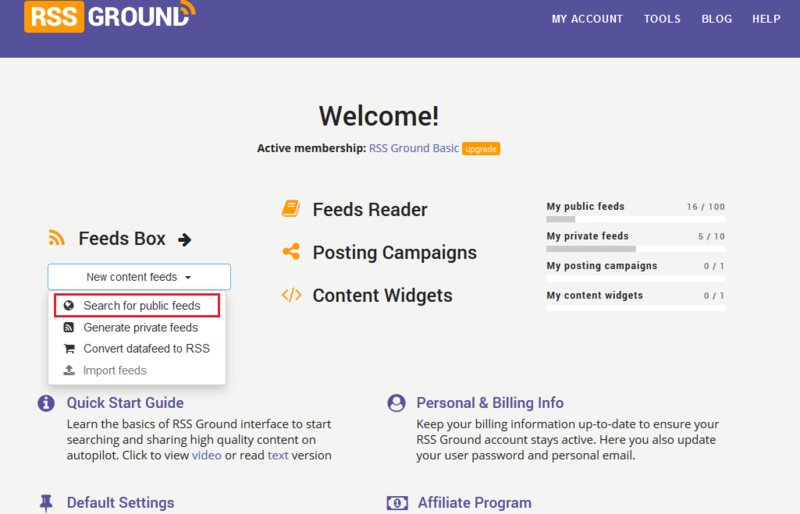 Hope now you have a better understanding of how to get new content in your RSS Ground account.